As Make Money Online Nigeria clocks 3 years this month (July 2013), we are happy to announce to you that some of the contents made available on this blog will now be premium contents. This simply means that as from today, some selected posts will only be available to readers after a reader pays a certain amount of money. Yes, we know that this looks somehow, but in order to run a business on this blog, we would require you to pay some “chicken change” for a certain number of days. This is so that you can have access to posts that will be of great use to you. What is the Benefits of the Premium Contents? In addition to sharing my insider’s secrets to those who are on my premium email list, I have decided to share those insider’s secrets on this blog BUT for only those who can pay for it. There are ONLY three benefits you get by having acccess to the premium contents. 1. My Online/Internet Money Making Secrets. 2. My Online/Internet Business Building Secrets. 3. 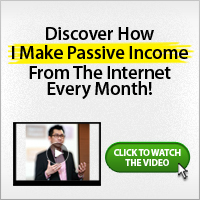 My Online/Internet Passive Income Generation Secrets. How Much Does the Premium Contents Cost? The premium contents cost ONLY $9.99 for 30 days. This means you will have access to all the premium contents on this blog for 30 days if you pay just $9.99 once. If you choose to increase the number of days, you will need to pay another $9.99 for another 30 days. Please note, you are eligible to a month free subscription if you pay for 3 months subscription consecutively. Which means, for every consecutive 3 months, you get the fourth month free. Paying for the premium contents makes you a gold member of Make Money Online Nigeria. You would need to give us few minutes to receive your payment notification and then we will upgrade your account. Also, you should check your email address for the PayPal receipt. Be sure to keep a copy of it for future reference. After confirming your payment receipt, you should then come back to Make Money Online in Nigeria and you would be able to read all the premium contents available on Make Money Online Nigeria. Please note: The access to premium contents last for ONLY 30 days starting from the day you make your payment. You can see the expiration date in your profile panel. Thanks for your understanding. If you have any comment or consideration, please use the comment box provided below to let us know what you want to say.